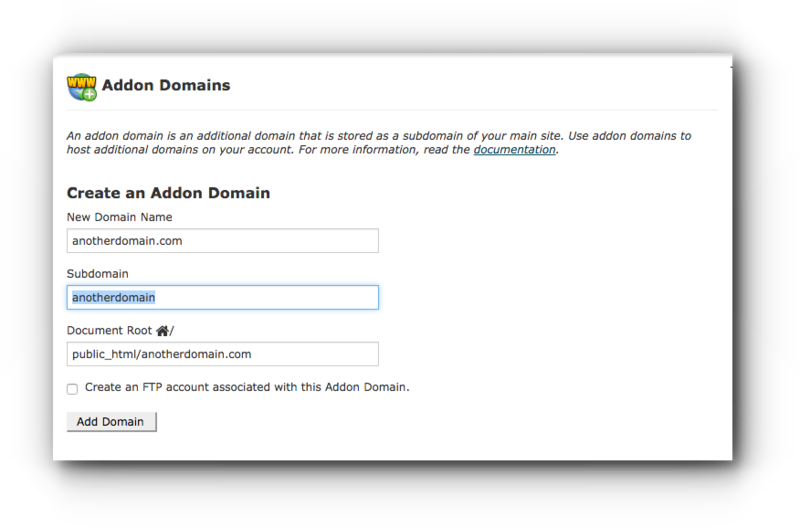 Parked domains are additional domain names which you host on your account. This is now known as Domain Alias. They do not have web pages associated with them. They will display the same website as your primary domain. Parked domains are often used by businesses that want to have more than one web address for advertising purposes. Note: For addon domain, a domain.ext folder will be created automatically in your public_html, your website files will be served from that folder. Step 1. Log in to cPanel. Step 2. Once logged in, click on ’Addon Domains’ link under the ‘Domains’ panel. Step 3. Enter the domain name in the New Domain Name field. Step 4. 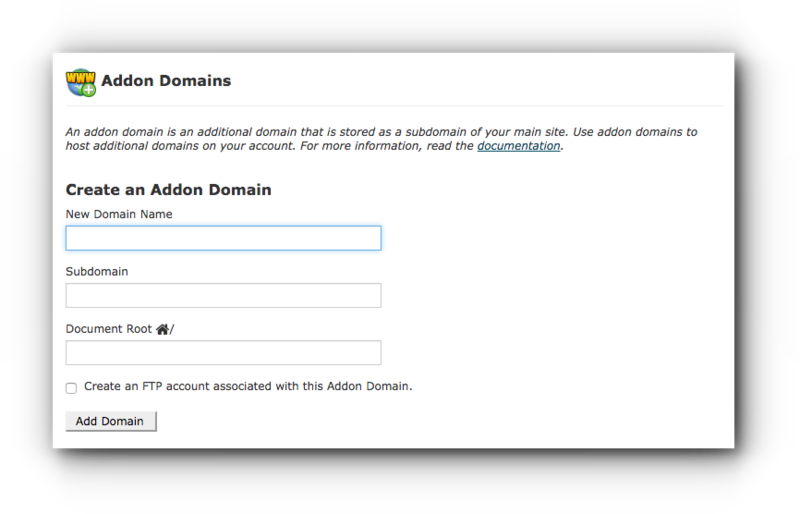 The system will automatically fill in the subdomain name and Document Root (director). This will be the folder cPanel creates in your public_html folder. Normally, you want to ensure the name you provide doesn’t exist yet as a folder in public_html, but cPanel will automatically suggest the name and we recommend you stick with the suggestion. Click on Add Domain button. Your new domain is now successfully added.